This is a guest blog by Jamie Branch, Corrosion Engineer at Apellix. Collaborative robots, or cobots, work side by side with humans to enhance human worker’s ability to perform their job safer, with less monotony and repetitive tasks. Most of us are familiar with industrial robots and it should be no surprise that people and machines are working together collaboratively more often. Cobots can also help with the shortage of skilled trades workers by extending the reach of human hands via cyber-physical software. Cobotic systems, such as software-controlled spray-painting drones, are becoming more and more common. These software-controlled robots take on repetitive, physical, stressful, or dangerous tasks working side by side with people. Spray painting is the largest category of cobots after welding. In part because trades such as industrial painting have a labour problem. One trade association states; “The average age of a painter is 50 years or more and like other crafts, industrial painting is not attracting enough new workers to replace those who are retiring.” A recent survey of industrial coating companies found that 82% are having difficulty finding workers and only 1 in 10 new hires stay for more than a year. With more work, fewer employees, and an ageing workforce, cobots are a promising avenue for companies to pursue. Software-controlled cobots, using modern operating systems such as Ubuntu, can help attract new younger workers. What graduating college student wouldn’t love to operate a computer that then directs and operates a spray-painting drone? At Apellix, we have developed a software controlled aerial robotic spray-painting drone. 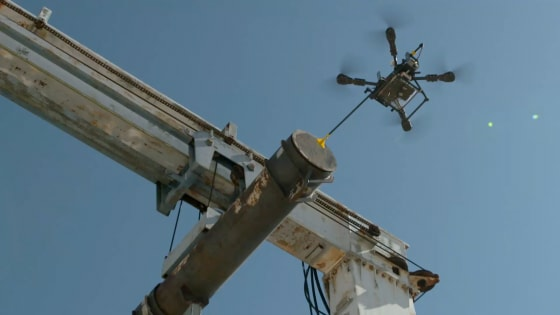 The aerial robotic system paints surfaces so human workers are no longer exposed to dangerous chemicals and heights that are often required while painting. As you might imagine software plays a critical role in the operations of cobotic systems. The interaction of people and robots is complex, and it is becoming both more sophisticated and more enabling every day as evidenced by the software controlled Apellix aerial robotic spray-painting drone. The aerial robotic system operates with a custom-designed circuit board (PCB backplane and blades) with embedded programming and software running on Ubuntu. I can tell you unequivocally that software is at the core of enabling cobots and people to do things previously thought impossible. There is a reason in aviation history that people have not flown aircraft close to or come in contact with buildings and structures. The Apellix software built on Ubuntu enables aerial robotic platforms to operate to a level of precision not attainable by humans. In the example of the Apellix aerial robotic spray-painting system, software is critical, not only for the operations of the robotics systems but also to gather data, and to process information. Software is running on and controlling each of the sensors that feed data, the communications “blade” and on the backplane that receives the information from the blades, processes it and sends it to the full onboard computer. Then, of course, the full onboard computer is running software made possible by Ubuntu. And this being the age of big data and the internet of things, information sent via a software on a cellular modem to the cloud where Ubuntu is underlying behind the web portal. The continued development of cobots is providing workers with better tools with which to do their jobs while at the same time making the humans job safer. There are ample opportunities for cobots and many more will arise as we head towards a future where robots become a ubiquitous part of society. And, there are ample opportunities for those versed in software help make the impossible possible. To learn more about Apellix and how software can be used to solve industrial IoT challenges, register for the webinar on 5th December 2018 by clicking here. From home control to drones, robots and industrial systems, Ubuntu Core and Snaps provide robust security, app stores and reliable updates for all your IoT devices.